This is a general knowledge book for the kids for kindergarten kids. The book contains essential general knowledge on daily life, every day science, national things, body, social life etc. It is complete book in every aspect. 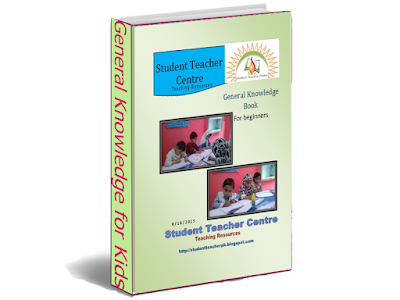 Along with impressive question answer pattern, this book contains many activities and instructions for the teachers to make the teaching interesting for the kids. This book is really a great contribution by the Student Teacher Center. The credit goes to our hardworking team who were able to complete this remarkable accomplishment. This book covers all type of knowledge and activities that are required at play group, nursery or K.G level. The book also contains Urdu Part for Islamic Knowledge for Muslim students. The book has especially designed for Pakistan and all the knowledge and questions are in Pakistani context. You will see that how much hard work would have been done when you study the book. This is an e-book covering complete information and style. If you want to make it your own with your school logo and other information, please tell me in the comments. I will email you a doc version of this book so that you may customize it and get a hard copy for your school.